Cake stands are incredibly popular at the moment. They range from the very modest to the exceedingly grand and you can spend anything from a few pounds to a few hundred on one. If you are like me however, you may often find yourself admiring vintage plates but think you have no use for them. 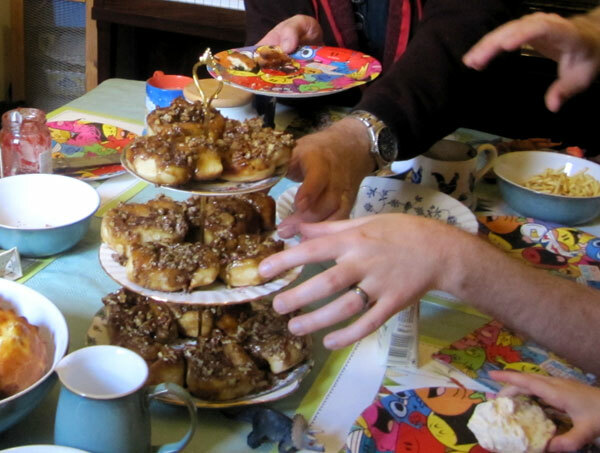 Today I’ll sure you how to turn those odds plates into the most fantastic Cake Stand in no time at all! First things first you will need to mark the centre of each plate at the back as a guide for drilling. 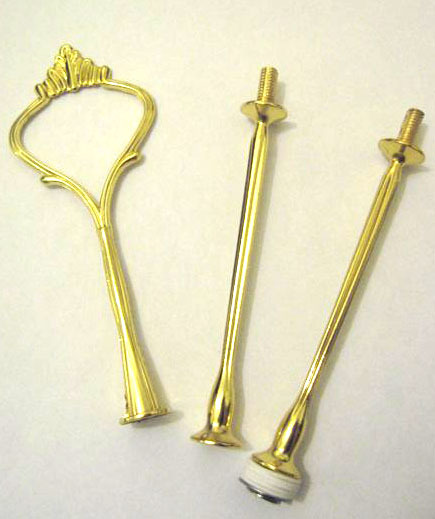 Some cake stand fittings come with guides to help you. Mark with a non permanent marker. 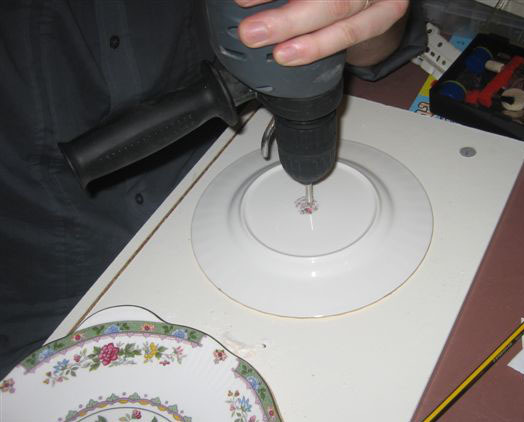 Place your plate upside down onto a worktable or protective piece of wood and using a ceramic appropriate drill bit, slowly begin to make a hole where the mark is. Repeat with all plates. 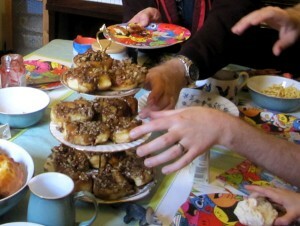 Give the plates a wash to remove dust, then attach the cake stand fittings. 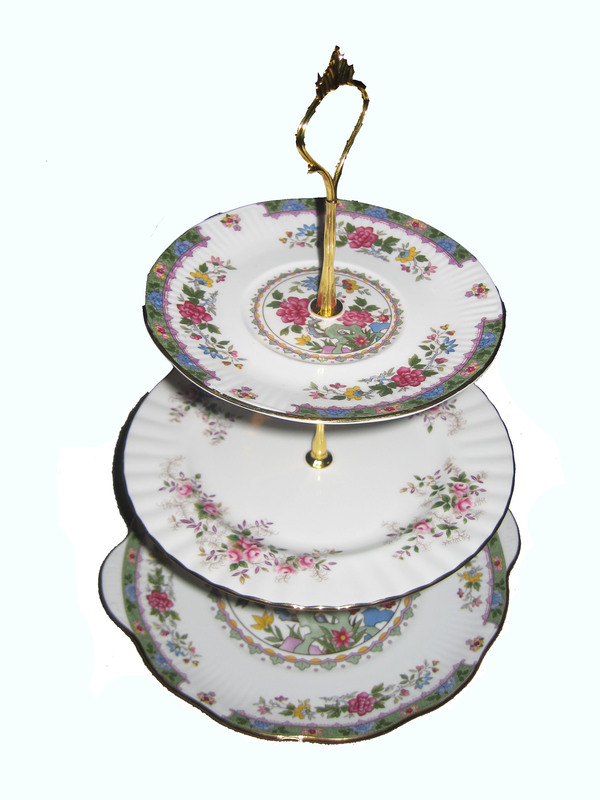 That is all that’s required to make a bespoke, individual and enviable cake stand. They also make fabulous and inexpensive presents. 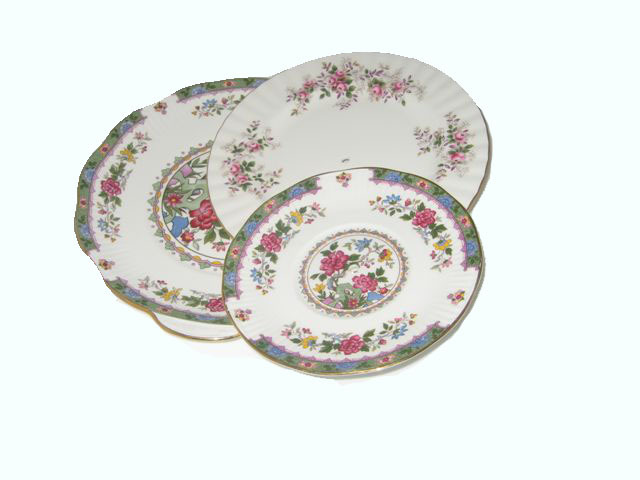 This entry was posted in Tutorials and tagged antique, cake plate, cake stand, cake stand findings, cake stand fittings, ceramic drill bit, do it yourself, drill, make your own, shabby chic, stand, tutorial, vintage. Bookmark the permalink.